Qualifying for the 2008 Olympic Games. It’s not over until the bell rings. 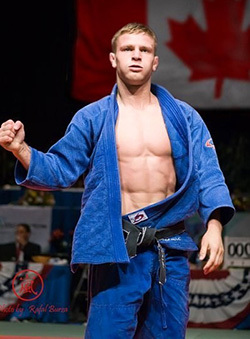 Canadian Athletes Now Fund has helped me reach the Olympic Games before and once again they are continuing to support me in my goal to reach the 2012 Olympic Games. As a full time athlete, many people think that my life only revolves around 24 hour training and strict diets. Besides my closest friends, many people don’t know that I have the biggest sweet tooth. I enjoy a bowl of ice cream or a piece of chocolate almost every day.